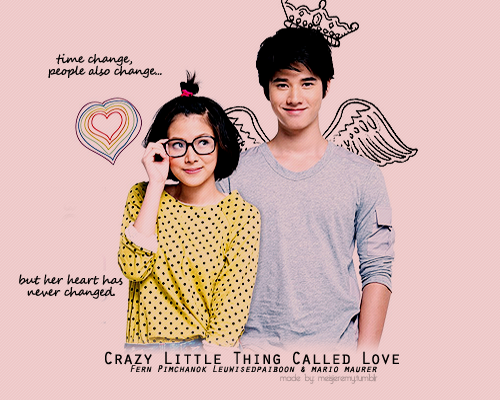 Crazy Little Thing Called Love (also called “First Love”) is a Romantic-Comedy starring Mario Maurer and Fern Pimchanok Leuwisedpaiboon which was seen on Thai theaters last August 2010. This June 2011 (rumors said that June 4 to be exact), the said Thai Movie will invade Philippines through their televisions. Abs-cbn got the rights to air this Thai Movie. Are you excited Filipino fans of Mario and Baifern? Here are the teasers to excite you more. Here’s a photo to be the proof that the movie will air on abs-cbn. Actually, I already watched this movie months after it was aired in Thailand and before in the Philippines. Thanks to a fan of one of my Korean Drama pages that I managed, I knew this movie through him. So, I dedicate my post to you. I’ll never stop liking and watching this movie over and over again. How about you? Stay tuned to my blog for more updates about the drama and the casts, ’cause at this moment, I’m totally CRAZY about them! haha :D. Actually, I managed different pages about them already. 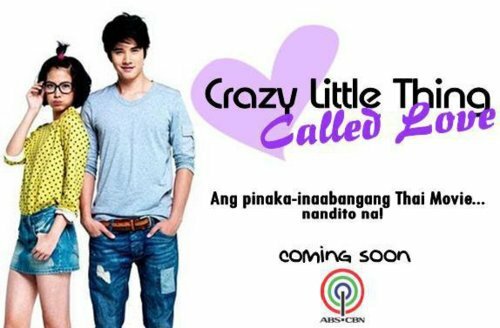 Crazy Little Thing Called Love on Philippine TV! First Love: Crazy Little Thing Called Love (Thai: สิ่งเล็กเล็ก ที่เรียกว่า..รัก) is a 2010 Thai romantic-comedy drama film starring Mario Maurer and Fern Pimchanok Leuwisedpaiboon. Due to insisting public demand of the Filipinos, Abs-cbn (a Philippine TV Network) decided to got the rights to air the movie. Yet, airing date of the movie is undecided. The film is centered on a plain-looking, dark-skinned school girl named Nam (Fern Pimchanok Leuwisedpaiboon) who is secretly in love with an olderGrade 10 guy named Shone (Mario Maurer). Chon is a photography enthusiast and a popular student in their school. However, he is often teased by some of his schoolmates because his father didn’t score the penalty kick and made their province lose in a national football cup. But that doesn’t change the fact that a lot of girls in their school are going crazy over him, including Nam. However, Nam is well aware that she is not the prettiest of the bunch, but she doesn’t give up easily. With help from her close girl friends, Nam tries everything to make herself more beautiful and outstanding in school, hoping that Shone would like her someday.